Told in alternating first person narratives, The Book of Unknown Americans details the experiences of multiple Latin American immigrants living in a Delaware apartment complex. 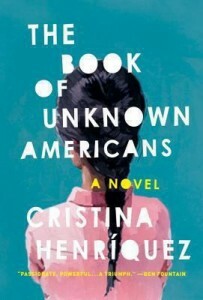 Cristina Henriquez’ moving, compelling tale showcases families, communities, triumphs, and tragedies. I loved this book – the endearing characters, the enthralling story, and the lyrical writing grabbed me, prompting me to keep frantically turning the pages, only to be disappointed when there were no more pages to turn. For other immigrant experiences, check out our bibliography here. In this seventh of the Inspector Shan series, we have culture, politics, and a compelling mystery to keep one reading another page when it is time to turn off the light and go to sleep. In Mandarin Gate, neither the reader nor Inspector Shan (now demoted to irrigation ditch inspector) can see a reason for the terrible triple murder but can only speculate as to a possible cause. Beijing wants the crime solved without international ripples and Inspector Shan is very concerned that the recent suicide of his friend, an unregistered Tibetan monk, may have implications in the case. Readers concerned about China’s dismantlement of Tibet’s culture and religion will find much to think about while reading Eliot Pattison’s compelling novel. Like To Kill a Mockingbird, The Round House is narrated by a young person, 13-year-old Joe, of the Ojibwe tribe, whose mother has been brutally attacked and whose father, a tribal Judge, tries to find justice. As the story unfolds, Joe, with the help of his three friends, sees it as his responsibility to bring protection and vindication to his family. The story is interwoven with colorful characters engaging Joe and his friends along their way. There is the ex-Marine priest who refuses to include target practice on gophers as part of Joe’s confirmation, the centenarian grandfather who tells stories of the tribe in his sleep and still enjoys worldly pleasures when he can get Sonia the ex-stripper to visit, and uncle Whitey, Sonia’s significant other who becomes jealous when she directs too much motherly attention to Joe. All of these play poignant and sometimes humorous scenes in the story. The Round House is more than just a hunt for the attacker; it is the extended Native American family showing concern and helping one another, the tension and humor of dealing with the Anglo community, and young boys struggling to grow up. The story ends with hard happenings, but like Mockingbird, brings closure to the injustice. 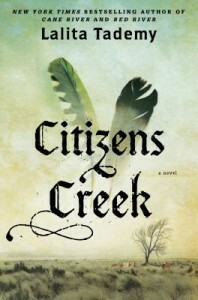 Louise Erdrich’s novel also won the 2012 National Book Award. A beautifully written novel set in Rwanda, Baking Cakes in Kigali eloquently demonstrates that life isn’t always black and white. Angel is a baker with a booming cake business; she is a wife; and she is a mother to her five orphaned grandchildren. The family moves from Tanzania to Rwanda for better opportunities. They settle in a community of people from all walks of life – aid workers from the West, refugees trying to rebuild, and so many affected by AIDS. Check out this debut author’s thought-provoking and enjoyable story set in a foreign land. If you enjoy Alexander McCall Smith’s The No. 1 Ladies Detective Agency series, I think you’ll like this book. I absolutely loved this book! I thought it was enlightening, thought-provoking, and truly engaging. It is beautifully written, with richly-drawn sympathetic characters, and a storyline that spans five decades and several continents. I enjoyed learning about Ethiopia through the author’s vivid descriptions of the people, the land, the history, and the political turmoil. I haven’t read such fun book for a long time, the kind you hate to see end. Major Pettigrew is a “one of kind character,” warm, human, complex yet naïve. The author artfully tells the story from Pettigrew’s perspective. What a story it is. A lovely Muslim storekeeper is the Juliette of this September romance and they make a delicious pair as they tread their way through prejudice of a small English town, their families, and their own personal hang ups. One of the strong points of the book is the pacing. It is a work of art the way the plots moves quickly along to a photo finish. The morality of change, good and bad, presents a fascinating dilemma but never in a boorish or boring way. Go for it. 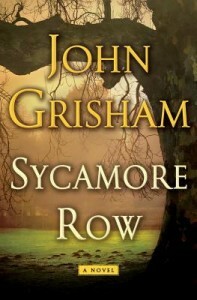 Drop in the library for a book discussion on Wednesday, May 11 at 7:00. The novel traces the story of two sisters and their lives from Shanghai to California. At times it’s very heart wrenching. Shanghai Girls shows how strong the bond between sisters is. Preview this incredibly popular book, visit the author’s website, and watch the author discuss her book on YouTube. The novel begins with a genealogy chart to help keep track of the characters. Sure enough there are miracles (that the down to earth can explain) and a rich flow of almost musical storytelling. Learn more about this prolific author, view a reading group guide, and preview the book.